Links in eBay item listings are both very useful, but there are specific rules that sellers have to follow. The general rule is that listings may include links which provide more detail about an item when that information can't be included in the listing itself. You can't link to third-party websites like image hosting sites and auction template sites. And if you're thinking about trying to slide a link into your listing with the hopes that eBay won't notice it, don't. eBay reviews links on its site on a regular basis and you will get busted. If you break the rules, your listing might be removed by eBay, and you might face further action, including limits on your ability to buy and sell, or suspension of your account. If you're a seller considering using links in an eBay listing's item description, here's what you need to know. Any links that can lead either to a purchase or to direct communication between buyer and seller outside of eBay is forbidden. There are numerous instances where linking is allowed. You can provide links to other pages of photos or photo galleries that give more detail about the item you're selling. You can link to a video that you've created, as long as it doesn't contain pornographic material. If you're selling a durable goods item for which specifications or reference manuals are important, you can provide direct links to these on manufacturers' customer support websites or on your own website. And you can link to pricing guides. For things like vehicles or collectibles, sellers can link to sites that provide value estimates of particular items that can help to inform buyers purchasing choices. Links that connect your buyer to information about item warranties, shipping, insurance, escrow, a more detailed list of terms and conditions ​that could be included in your item description, and so on, are permitted. You can also link to other pages on eBay, like an About Me page (so long as it doesn't violate this set of links rules), eBay Store, your list of other eBay items for sale, or even eBay search results links that might be useful to your buyers. Links to Other Non-eBay Purchase Options: You're not allowed to link to any page from which a buyer can either make a non-eBay purchase or eventually click elsewhere to make a non-eBay purchase. For example, even though linking to specifications is okay, links to a manufacturer's spec sheet that has a "See retailers in your area" link at the top of the page are not allowed. Though this is covered by the previous item, it bears mentioning specifically in this context. If you have an online store outside of eBay, you're not allowed to link to it in any way that displays the text of its address in your listing or that leads to a page that might ultimately lead to an off-eBay purchase. 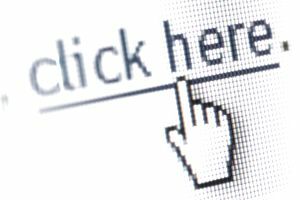 Clickable Email Address Links: Neither clickable nor non-clickable email addresses are allowed in auction listings or on eBay Stores, except in the "Business & Industrial," "Motors > Vehicles," and "Real Estate" categories. In all other cases, eBay wants you to communicate with other eBayers through eBay, using the eBay mail forwarding system and official links on item listings, so that when disputes arise eBay has a full record of communication between buyer and seller. Links to Payment Services: Because eBay wants to protect buyer and seller safety by vetting any payment services used in eBay transactions, no payment services can be linked to by sellers. Seller Social Media Links: eBay forbids direct, seller-created links to social media sites like Facebook, MySpace, Twitter, Pinterest, and so on. You can still promote your eBay listings from social media sites, just not link to social media sites from your eBay listings. And eBay does not allow links that have been shortened with URL shortening services like TinyURL or Bitly. All seller-created links must be full, direct links to their destinations. Keep in mind that the prohibitions take priority for eBay, meaning that even if a link provides specifications that might be useful to buyers, you're still forbidden from including it if the destination page is on Facebook or it was shortened with a URL shortener. As with any business, eBay's rules concerning links are subject to change. If you aren't sure about a link, check eBay's rules, or contact them to get clarification. Don't think you're going to get away with violating eBay's rules on eBay. You won't.